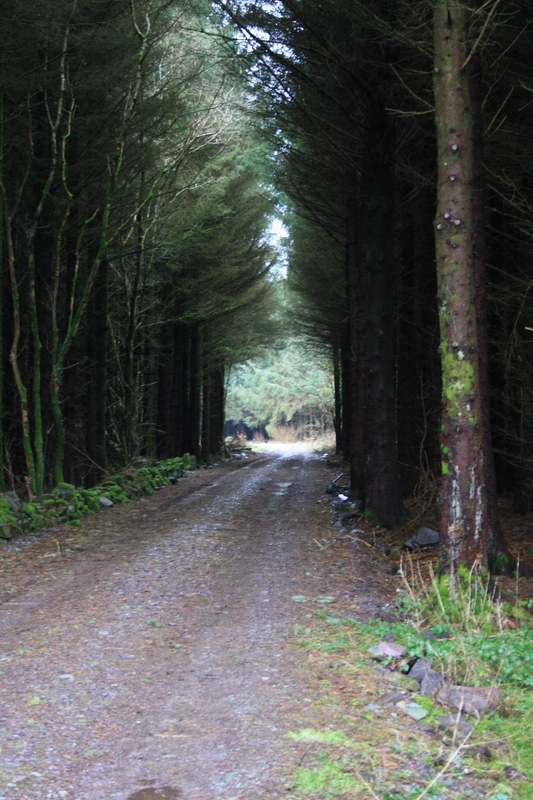 Ffynnon Cegin Arthur is a noted chalybeate spring in forestry land to the south of Llanddeiniolen. 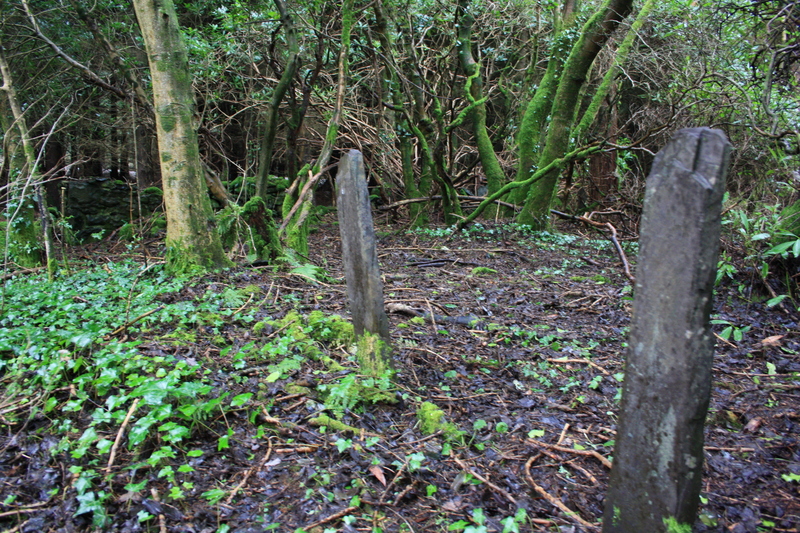 Found by going to the very end of the lane from Penisarwaun through Waun, crossing the stile on the left hand side and then following the track lined on either side by tall trees through forestry land for around two hundred yards. 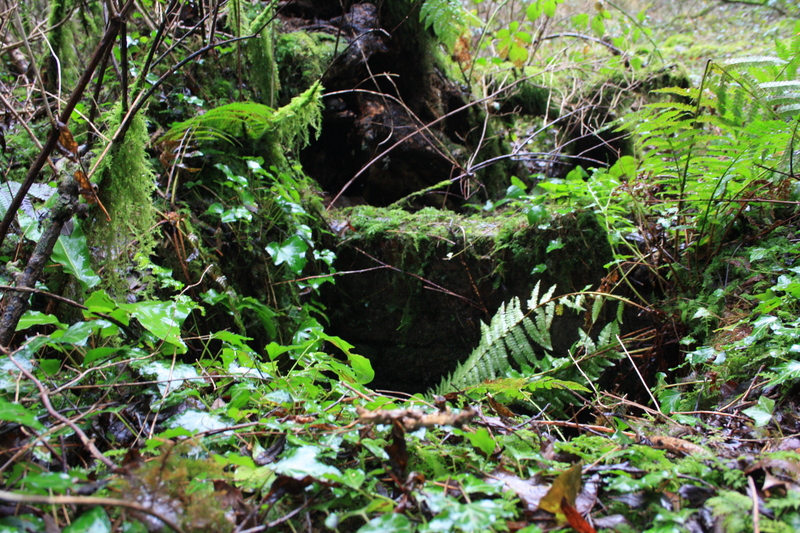 The well is ten or twenty yards off the track on the left a little before a stream. Chalybeate springs are noted for their high mineral content, in particular iron, and were resorted to for health cures. First identified and named in the late fifteenth century, from the Latin chalybs, steel, the popularity of chalybeate wells spread, reaching its peak in the seventeenth and eighteenth centuries. Tunbridge Wells chalybeate spring was identified around 1606, and the spas at Cheltenham, Buxton and Harrogate are all noted chalybeate springs. During the nineteenth century the popularity of such wells began to decline, as other cures took their place. It is recorded however that the young Princess Victoria regularly drank chalybeate spring water during a visit to Tunbridge. 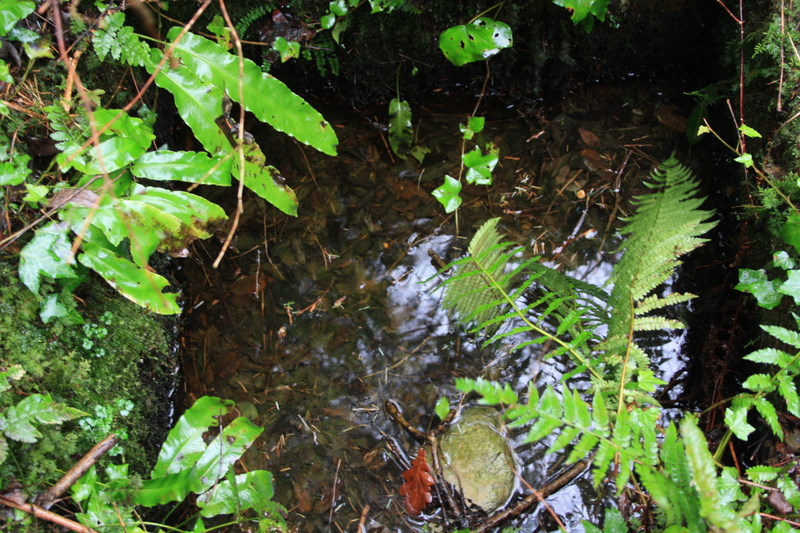 The existence of chalybeate water at Ffynnon Cegin Arthur was known from the sixteenth century, although when Thomas Pennant visited in the late eighteenth century its use had clearly declined. The well is mentioned only in passing as the source of the River Cegin in Lewis’s 1849 Topographical Dictionary of Wales  but it found new fame with the publication of the booklet Ffynnon Cegin Arthur in 1858 by Arthur Wynn Williams, a local doctor practicing in London who had used the water to treat a number of his patients. A normal dose would be to drink about half a pint, several times a day. The not so pleasant taste of the water meant that patients would have to suffer for their cure. The waters, high in iron, lime, magnesium, sodium and nitrogen were claimed efficacious in treating blood weaknesses, joint pains and haemorrhoids. The booklet, written in Welsh, not only provided an analysis of the mineral content of the water and recommendations of its use in health cures, but also gave a history of the well and of ancient remains in the immediately surrounding area, part factual and part built upon the mythology connecting it with druidical history and with King Arthur, invoking a mystical past to add to the public attractiveness of the spring. He noted too that a sick pig had been cured after receiving the waters further demonstrating its curative powers. However, an alternative translation of “cegin” is “ridge” giving an alternative, more prosaic, geographical explanation to the origin of the name. Following publication of Williams’s book, the popularity of the spring grew, and for a short while a new industry grew up around it. Maps from the late Victorian period show an array of buildings around the well that may have been used to accommodate visitors and bathers, and also bottling of the water for sale. The nearby Y Felinheli (Port Dinorwic) railway station on the Bangor to Caernarfon line which opened in 1852 and provided improved visitor access to the site. 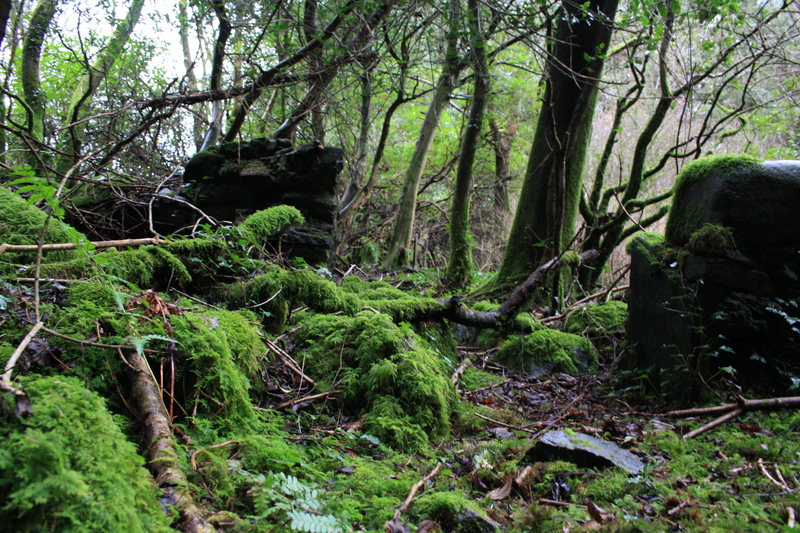 The remains of these buildings, now reduced to ruins, stand to a maximum of around five to six courses high and can still be seen around the spring, as can a number of tall pieces of slate, set into the ground, which may have formed a perimeter fence around the site. The spring itself is now a square brick lined hole about three feet square. It still contained water on our visit, although whether this was spring water or rain water was difficult to tell, it was relatively clear in colour. Other fairiy recent pictures show it covered with a number of heavy slate slabs, however when we saw it these had been removed and lay scattered about the site. The land in the past was reported to be very marshy. 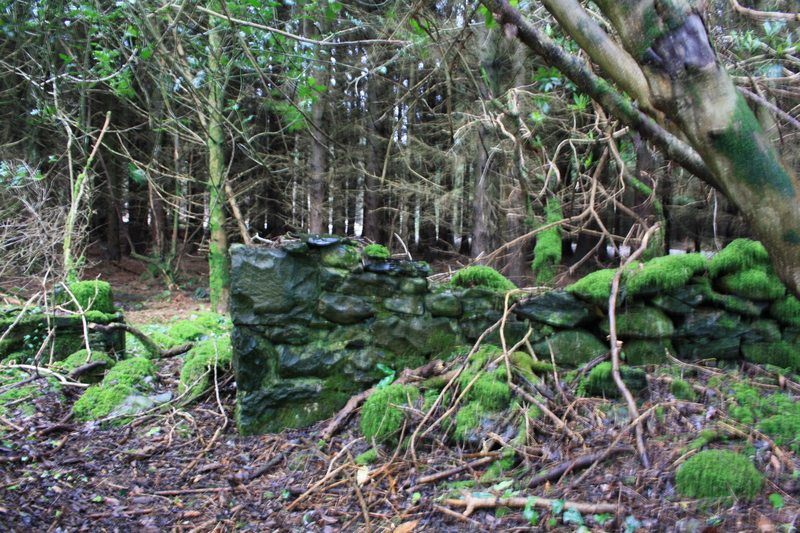 This has apparently been drained to a great extent by the forestry operations that are now carried out around the well. Lovely Article, and Thank-You for All the Work that You Do to Preserve Our Celtic Heritage! A major discovery at long last! 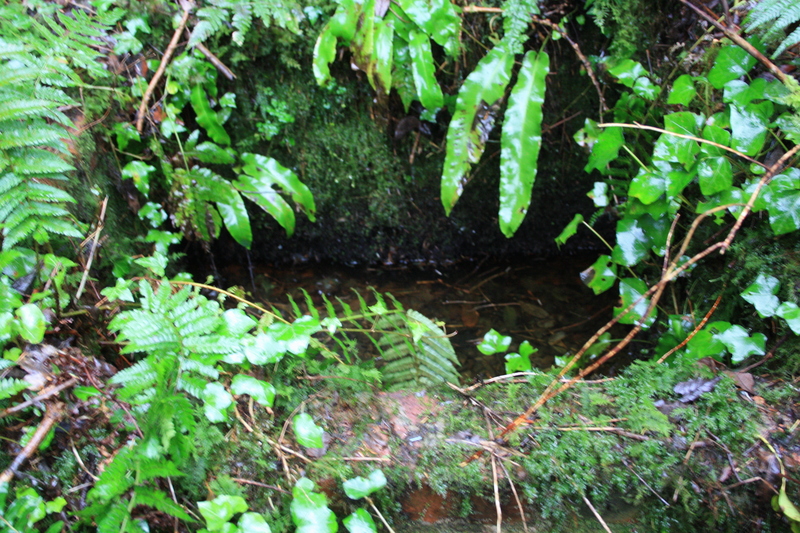 The elusive source of Afon Cegin – it be a royal pirate’s well no less- arrghhhhh! The only pirates that get caught either get too greedy or live on the coast. An enlightened and enlightening article adding to the alchemy of Celtic well hoppers. yes indeed – the last of the intrepid explorers. And all before lunch time too.